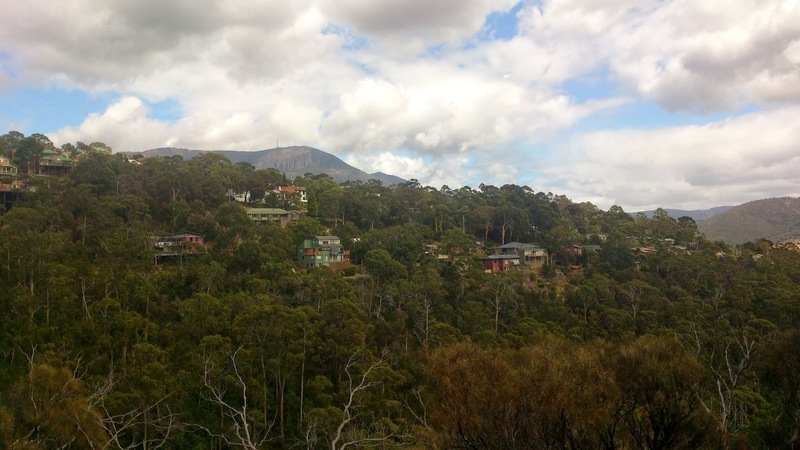 This post continues from my previous regarding my PhD research and associated fieldwork in Tasmania where I’m looking at bushfire preparation and the potential role of volunteered geographic information. As I’m travelling around the state talking with residents in local communities and distributing questionnaires, I’m gaining a lot of insight into many issues around bushfire management and the use of various technologies, and I’ll post about some of these in the future when I’ve begun collating results. 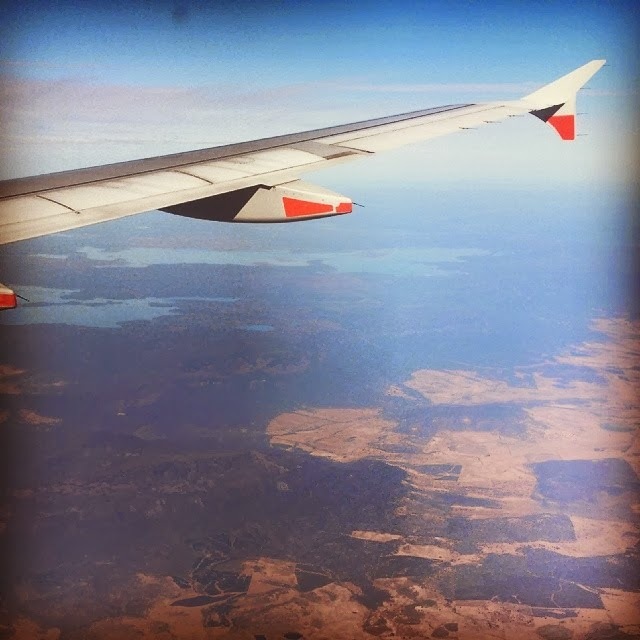 In doing this I’ve been lucky to spend time in some beautiful Australian places and the purpose of this post is to share some more pictures from my journey around the state so far. Swansea – Dolphin Sands is a coastal area in the east coast town of Swansea. Its residents enjoy a quiet living environment surrounded by bush land a stone’s throw away from the beach. But they’re also aware of the persistent bushfire risk in the area. 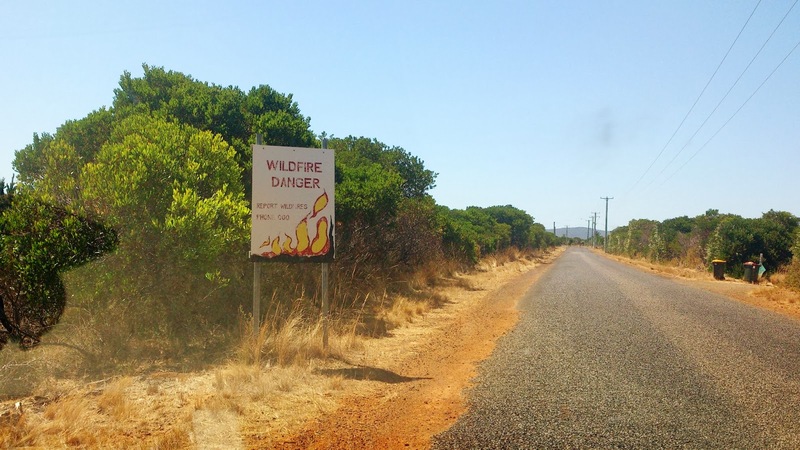 There is a small but active bushfire awareness group in this one-road-in community and custom made signs like the one in this picture installed by the group are a constant reminder of the fire risk in the area. 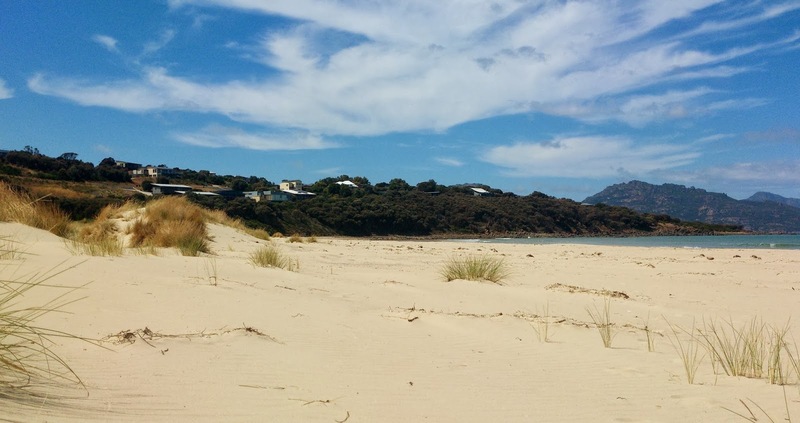 Coles Bay – A popular tourist destination and this beach at Swanwick shows a number of properties, many of which are holiday homes or part time residents, placed high in the hills surrounded by trees and bush. 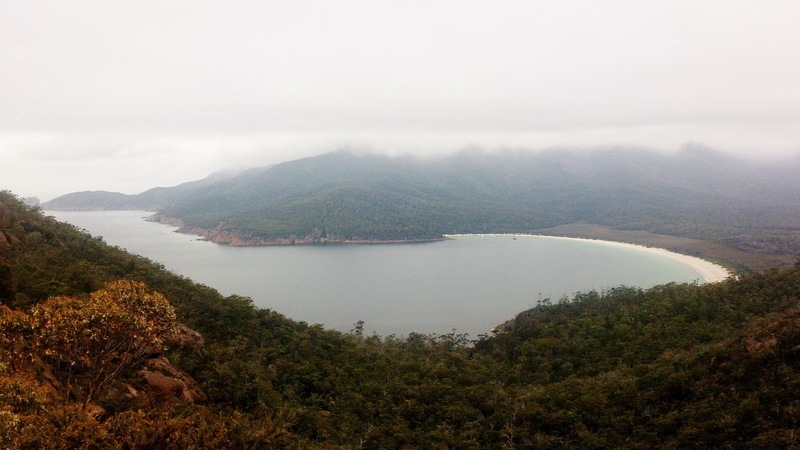 Coles Bay – Freycinet National Park is one of Tasmania’s most rugged and most beautiful coastal regions, and Wineglass Bay is a key feature. 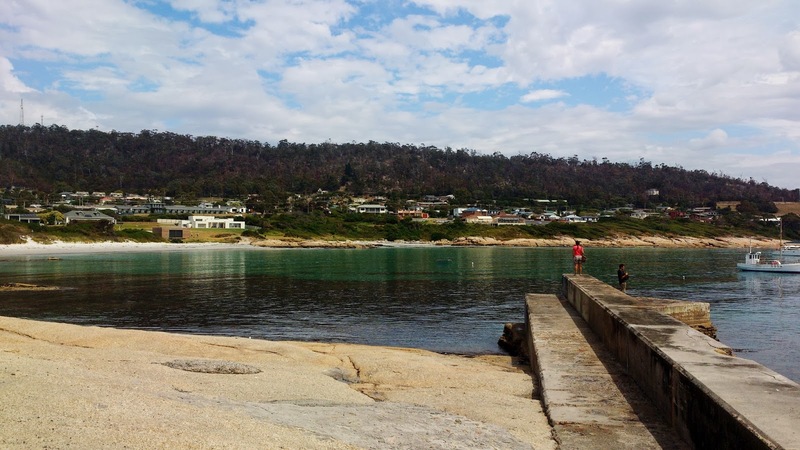 Bicheno – Residents of this coastal town will remember fires in the area as recent as January 2013. 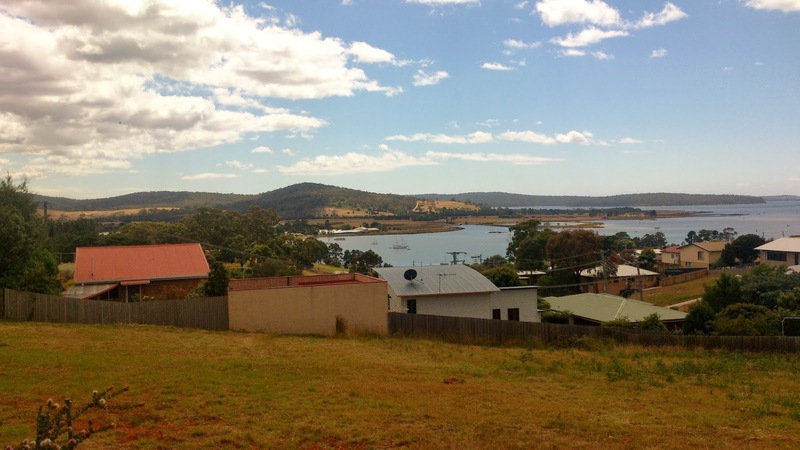 St Helens – This is a place with high bushfire risk in the hilly areas that back onto the bush which look over the main town surrounding Georges Bay. 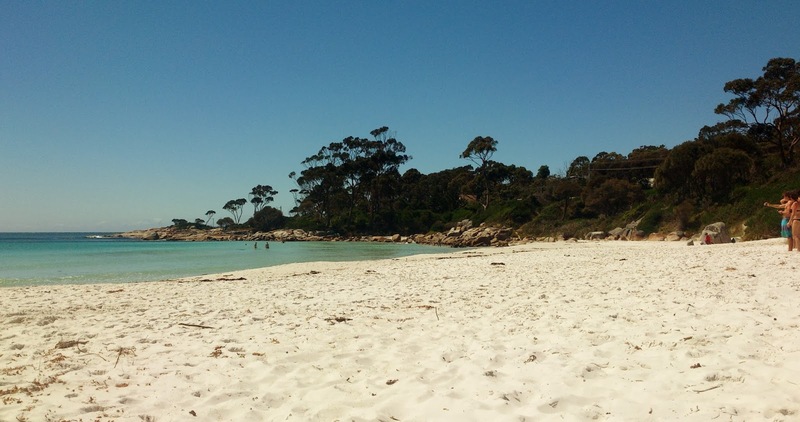 St Helens – Binalong Bay beach is a truly gorgeous spot with clean white sands and paradise blue waters. Stieglitz – This boat ramp and adjacent cleared area constitutes a Nearby Safer Place (NSP) in the community. 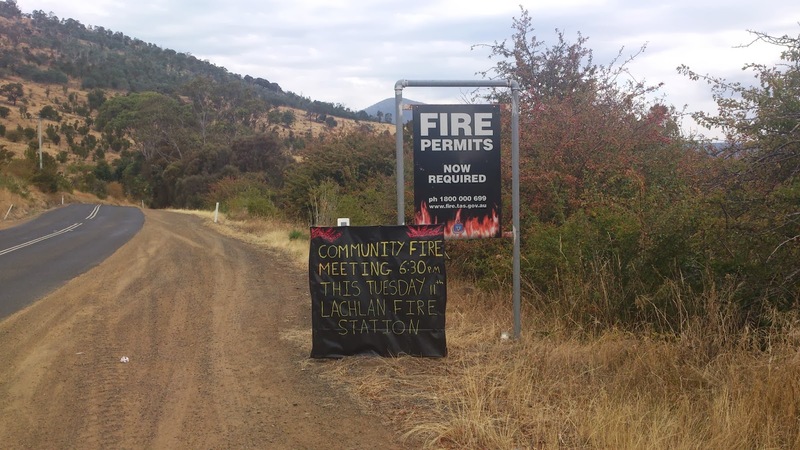 NSPs are outlined in the Tasmania Fire ServiceCommunity Protection Plans and are suggested places of last resort that may be ‘safer’ to be during a bushfire event rather than staying at one’s home. Of course the only real ‘safe’ option would be to be prepared and leave the area early well in advance of the fire arriving, but that may not always be the case and thus NSPs are important. Last July I went back to study at the University of Sydney. I’m studying for a PhD in Geography and working with some truly excellent people. My research is centred around Volunteered Geographic Information (VGI) and natural disaster management. More specifically I’m looking at the potential use of VGI technologies for fostering community engagement in bushfire preparation. This research, now supported by the Bushfire and Natural Hazards Cooperative Research Centre (BNHCRC), has lead me to the beautiful state of Tasmania to work in collaboration with the Tasmania Fire Service (TFS), undertaking fieldwork in high bushfire-risk communities across the state. What proportion of people currently engages in bushfire preparation? What proportion of people currently feels empowered about their own bushfire management? How do people currently engage with their community? How many people use social media (or other VGI sources) in the community? What tools in particular, and what for? How many people use or would use social media/VGI in relation to bushfire events, and in what ways? Is VGI considered a reliable source for bushfire management? 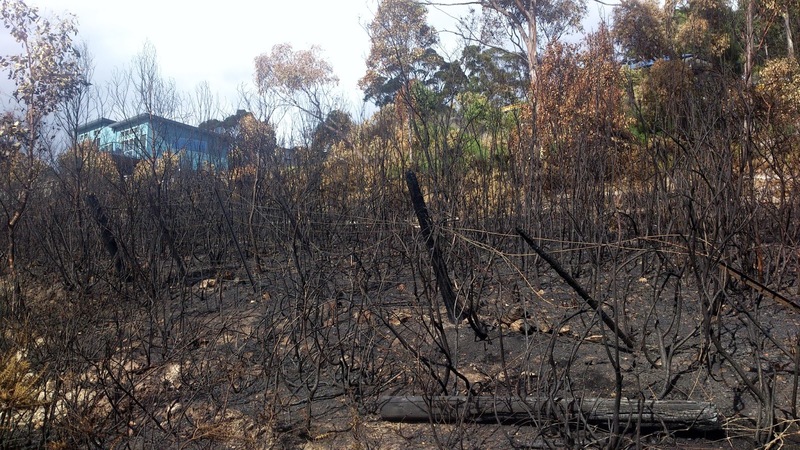 How useful are VGI technologies and social media considered to be for bushfire preparation? 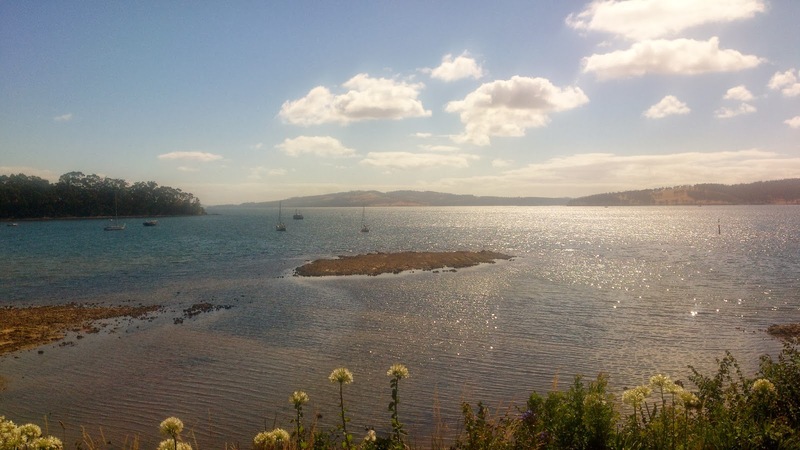 I hope to use this blog to discuss some of the findings of this work in the future, but for now while I am still in Tasmania carrying out the field studies I will just share a few pictures and bits along the way from all the interesting places I’m visiting for this work. 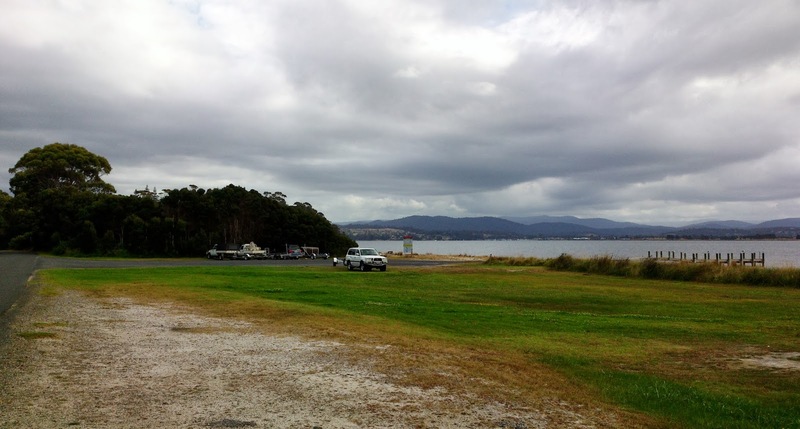 Mount Nelson – a suburb in the south of Hobart with many properties on high terrain very close to bushland. The area was significantly impacted by the infamous 1967 fires that devastated southern Tasmania. Tolmans Hill – a relatively new and small community next to Mount Nelson. This image shows a blackened area where a small fire occurred last week, highlighting the potential danger for people and properties living in areas like this. Woodbridge – an area again largely impacted by bushfire in the past, Woodbridge to me seemed a highly connected community with many people actively involved in groups to engage fire preparation and local warning strategies, predominantly driven by a few ‘local champions’. This photo was taken looking out over the water from the Peppermint Bay cafe. Lachlan – a community north of Hobart characterised by properties typically with several acres of land high up in the hills close to bush. The thing that struck me in this area was the number of people living in high risk areas with only one road access. If fires were to block these access roads or damage vital infrastructure, such as wooden bridges, many people could potentially be trapped in place. Considering scenarios like this further highlights to me the importance of preparing for bushfires and having a Bushfire Survival Plan. A good plan may be to leave early, but what if you’re in a situation like mentioned above and there is no way out; if you’re too late to leave, what is your plan B?